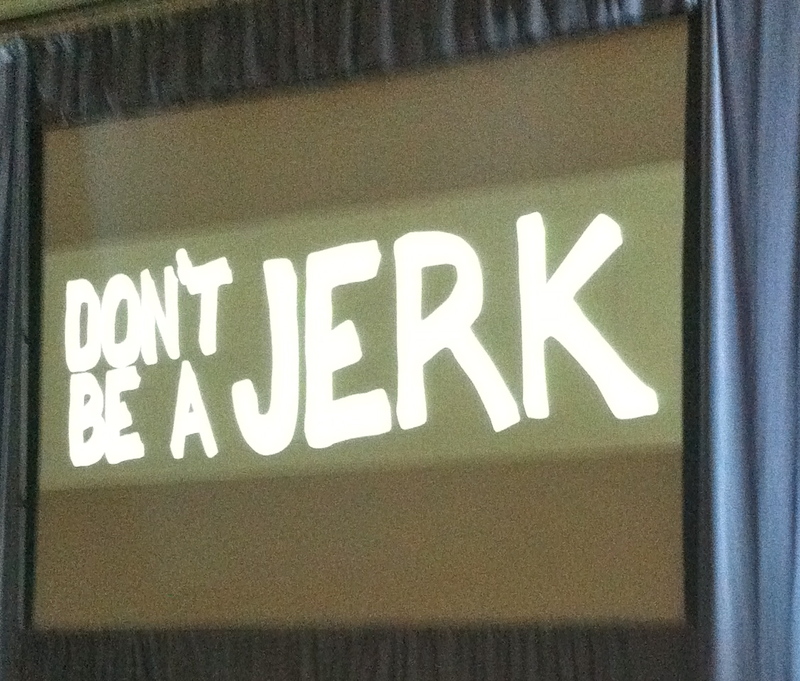 This slide from a keynote speaker at BlissDom sums everything up. Everything. It applies everywhere--in business, social media, church, parenting, your neighborhood, your marriage. Just Don't BE A JERK. I find it so funny, that the marketing professionals and business gurus can give advice about numbers and projections and audience reach and exposure and a million other marketing/business-y stuff, but in the end it all comes down to this....don't be a jerk. We all have those over-tired, grumpy moments when we aren't at our best. It's okay to have moments. Just don't make it a habit. Be nice. Golden Rule it folks, treat others like you want to be treated. Don't be all talk, walk the walk. Just don't, let's say it together now, be a jerk. It's pretty simple, that's what I know for sure (this week). 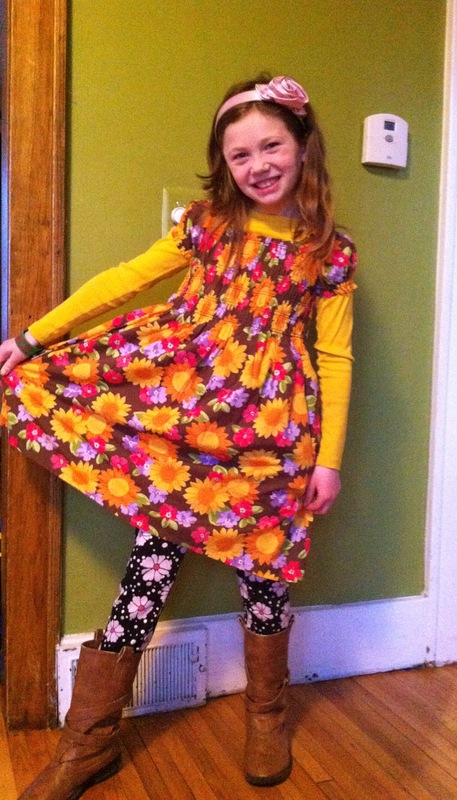 Spring has sprung (sort of) and Super Lucy is getting trendy. My girl has never been afraid to mix patterns and it so happens to be all the rage this season. Who knew? Oh hey, while you are watching, you should subscribe to my YouTube channel. I'm trying to get 50 subscribers by May 1. It's a bold dream, but you can help make it happen. We still have a puppy. Damn, it is so much work and I cannot tell you that I am truly loving it. BUT she is pretty cute and the kids love our little destructive adorable Cosi. I was seeing red this week, and loving it. 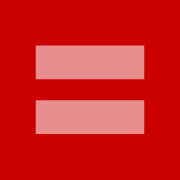 The support of gay marriage on Facebook shown by people changing their avatars to the symbol below, was a powerful image. I loved seeing all the red on my screen. It's Spring Break and we're going....no where. But that's cool because we'll have fun doing...something. Lucy isn't overly thrilled about spending the week with her brothers. Some people paint eggs this time of year, but we paint rocks. Filling the time and fancying up our yard. I got a little obsessed with this documentary last week-Happy. It's pretty fascinating, people are pretty fascinating. I think watching this movie will make you happier. You can watch it on Netflix. Giving away stuff is the opposite of being a jerk. 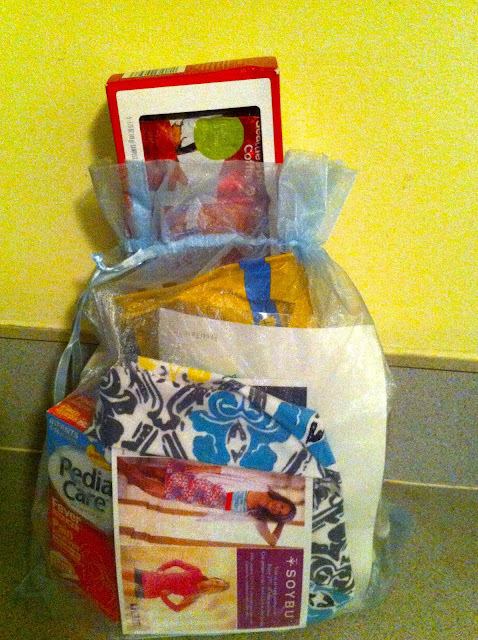 In the spirit of un-jerkiness, I want to give someone a bag full of some of the swag I got from BlissDom last week. Seattle's Best Coffee Tasting Kit which includes five samples (each sample brews 8-12 cups) of their ground coffee for you try. Cutie patootie headband from Soybu and a 25% off coupon code for soybu.com. Sample of Gain Fireworks, an in-wash scent booster which is a new product coming out this July. Package of Gevalia coffee, you know the company with the attractive Swedish male spokesmodel? You'll get a 12-ounce house blend to try. Pedia Care Fever Reducer for infants 0-36 months. Keep it for your baby or give it to a friend who has a baby. Original print of a sweet quote. All you have to do is leave a comment below OR on the blog's Facebook page. That's it. It can be a comment about what you know for sure this week or just a hello or suggestion about blog or vlog topics you want me to cover. I will choose a random comment (using randomizer.com) and boom, that person will be mailed some swag. Simple. What do you know for sure (this week)? C'mon, we're friends, share what you know. Leave a comment here or on the Facebook page (and give it a like if you want to and haven't already). And remember your comment automatically gives you a chance to win free stuff. Free stuff like lots of coffee. Seriously,some people still think being a jerk is helpful or okay. What's UP with that?? I love Lucy's style, so much. 1. my marriage does pretty darn okay under pressure. it gives me hope for *actual* hard times ahead, instead of just the imagined hard times that we're going thru now. i like seeing us grow together. 2. kids are resilient. telling my daughter we were moving was so scary for me, but she took it in stride and has been inspiring me to spin to the positive. Thank you for being so open and honest. I'm so glad that your daughter took the moving news in stride. You guys are going to thrive---all of you, I know it. And yes, thank god for crates for puppies!!! 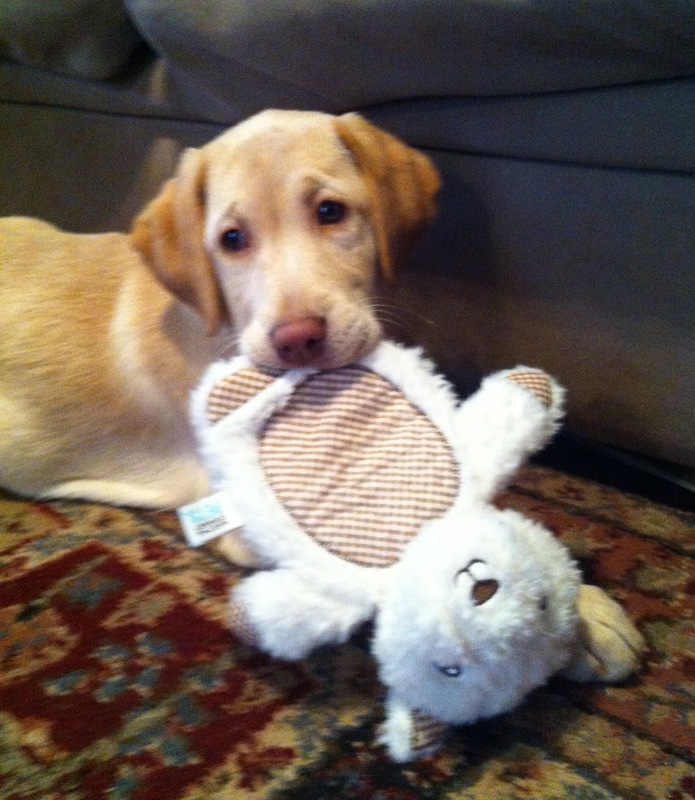 Training a puppy is hard work, in some ways very similar to parenting. Crate training works really well this I know for sure.